Learn more about iritis causes, symptoms, diagnosis, treatments, complications and risk factors through our website and online community. 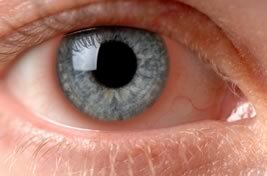 Iritis is inflammation predominantly located in the iris of the eye. 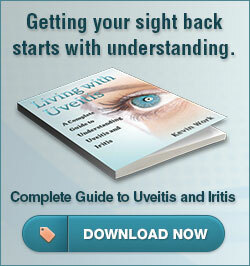 Inflammation in the iris is more correctly classified as anterior uveitis. The ciliary body can also be inflamed and this would then be called iridocyclitis. When the iris is inflamed, white blood cells (leukocytes) are shed into the anterior chamber of the eye where they can be observed on slit lamp examination floating in the convection currents of the aqueous humor. These cells can be counted and form the basis for rating the degree of inflammation. This is measured on a scale of 1-4, four being a very high cell count. These cells can accumulate and cause adhesion between the iris and the lens. Learn more about iritis symptoms and iritis treatment by reading through the site and forums. 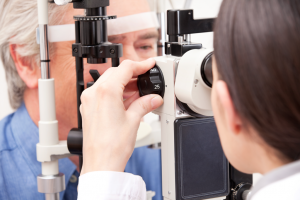 Uveitis is the third leading cause of preventable blindness in the developed world. Most ophthalmologists are not trained in the diagnosis and treatment of difficult to control iritis. A list of specialists has been developed by C Stephen Foster MD of the Ocular Immunology and Uveitis Foundation here in the USA. Our general discussion forum and other forums available here are an excellent way to ask questions and read up on various medical conditions related to uveitis. Feel free to join in the discussion when you feel comfortable with us.